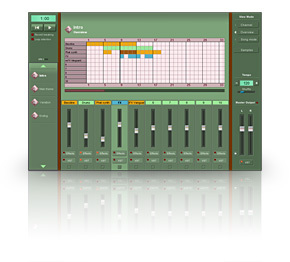 An extremely easy to use VST sequencer with everything controlled from one single screen. Feed it some VST plugins, some samples and start creating right away. It works with ASIO or MME audio drivers and is compatible with most VST 2.3 instruments and effect plugins. It also contains a built-in sample based drum computer as has the ability to export your tracks to WAV.